1. Why the fok are you using a meme with text already on it. 2. What does the text say? @Jecal41, it looks like it might be the exact same text with some weird font choice? @Jecal41, 3. 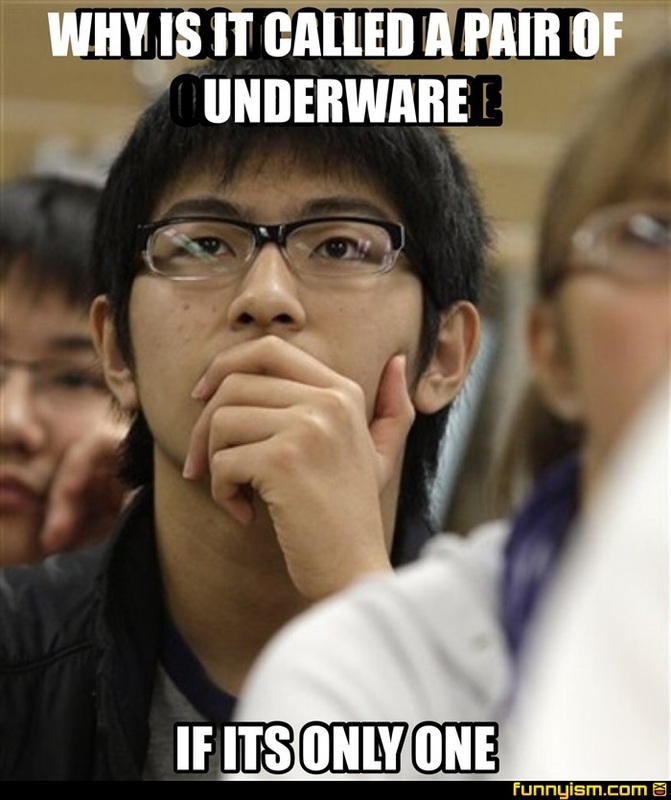 It’s spelled underwear. @Jecal41, it looks like the black outline around the white text was separated for no reason. This fact combined with the incredible spelling fekkup makes me think the uploader is an idiot.